Japanese apple khaki is the largest source of vitamin C.
Japanese apple khaki or Persimmon, as it is often called, is a very interesting, delicious and medicinal fruit. It has a golden-yellow colour, smooth bark and a distinctive sweet taste. This unusual fruit will remind someone of the tomato, but only when it is cut in half. You will discover that this juicy fruit contains a number of medicinal ingredients. As you might have guessed from the name, kaki fruit originated from Japan, where we can find trees that are several centuries old. Today, it is grown throughout the Europe, and in recent years there is a great interest around the world. In the following text we will share with you a few details of what is a good Japanese khaki apple, how can it affect your health, and we are sure you will want to savour this interesting piece of fruit. This plant was transferred from Asia during the 19th century to California, from where it spread to the entire United States, where it is now very popular. Japanese khaki apple grows in the form of wood and can reach heights of up to 8 meters. During the summer it ripens healthy fruits and is harvested in early winter, when all the leaves fall. Many botanists say that at the time this tree resembles a tree with orange lanterns, which is a very beautiful sight. When it comes to cultivation of khaki apple, it is necessary to choose an adequate land and have a good climatic conditions. It should be noted that there are different types of fruit, and they therefore differ in shape, colour and nutritional characteristics. So you can find fruits that weight one pound, have a variety of colour from yellow through orange to red. The very shape varies, from heart-shaped, tomato, to one that resembles a pumpkin. If you are planning their cultivation, it is best to obtain seeds from the nursery garden, and then plant it in a place where the soil is not too wet. Warm weather will be suitable for it, so watch that it receives sunlight during the whole or a greater part of the day. It is necessary to be protected from the wind and the impact of colder weather, so you can at the beginning of winter reap its fruits. If you pay attention to diet and a moderate intake of food, we will tell you that khaki apple contains calories in moderation. Specifically, in 100 grams of this fruit there is about 70 calories, while still it does not contain fat. In addition, the fleshy part is rich in easily digestible fibres that are great for digestion. In 100 g there is about 3.6 grams of different soluble and insoluble fibres. Kaki fruit is a phenomenal source of powerful antioxidants such as catechins, and there is a betulinic acid. Their combination allows your body a dose of medicinal substances that will protect against the development of tumours. In addition, Japanese apples also helps defend against infection and inflammation, and it is interesting that this fruit is a great remedy against bleeding and against varicose veins. Vitamin A, beta carotene, lycopene and lutein are found in this delicious fruit, and their presence brings many health benefits to your body. The most important feature of these medicinal substances is that they successfully strengthen the immune system and detoxify the body. Together they collect all the free radicals and eliminate them from the body, and Japan kaki fruit is considered an ally in the fight against aging. In the flesh part of this delicious food, there is a lot of vitamin C, which will in addition to the above medicinal substances help boost immunity. If the Japanese khaki apple is during the winter consumed regularly, be sure that you will be protected from the cold, flu and various inflammations. Finally, this exotic fruit is rich in flavonoids, specifically quercetin. This means that the khaki apple is a phenomenal protector against cardiovascular diseases, especially high blood pressure and high cholesterol. Japanese khaki apple is a delicious exotic fruit that is sweet and we believe that you will therefore love it at first bite. However, what makes you even more attached to it is that they are many health benefits that it brings to you and your body. Kaki fruit is full of antioxidants that have anticancer effects. Therefore, it successfully fights off free radicals that are the main causes of the appearance of malignant diseases. These side effects of cellular metabolism are prevented every day if you consume Japanese apple a day. This will improve general health, eliminate all the harmful substances from the body and reduce the risk of cancer. In addition to preventing malignant diseases, Japanese khaki apple as the drug can be used in order to strengthen the defence system of the body. As we said, this fruit is rich in vitamin C, and provides your body with 80 percent of its daily needs. Therefore, it stimulates the production of white blood cells that are the primary fighters against microbial, viral and fungal infections. Kaki fruit is a great choice for people who want to lose weight. Since it does not contain fat, but on the other hand is rich in fibre, these delicious fruits are a great ally in the fight against excess weight. It will speed up the metabolism, and is particularly useful if you eat it if you are physically active, because in that way you will get enough energy with which your body through exercise uses from the body. Like most fruits, Japanese apple has medicinal properties and has a positive impact on digestion and digestive system. The fibre found in it help the digestive tract to digest food more efficiently, to be easier carried through the intestines and leads to easier discharge. Consequently, it increases the secretion of gastric acid and relieves the symptoms of constipation and diarrhoea. 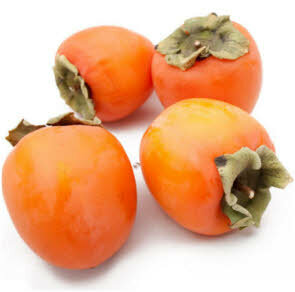 All in all, persimmon fruit is the best solution for all those who suffer from problems with digestion and who want an effective and quick way to improve the digestive track. Japanese apple is an abundant source of vitamin A, which is generally known to have a beneficial effect on the skin. Beside it, the concentration of beta-carotene, lutein and lycopene will give your skin a true natural anti-aging treatment, because it will prevent the signs of premature aging such as wrinkles, age spots, dark circles and sagging muscles. In addition, there is information that this fruit eliminates the risk of Alzheimer's disease. Vitamin B complex with vitamin A has a proven positive impact on eyesight. Japanese khaki apple is a real natural medicine when it comes to preserving eye health, so we advise that you include it in your eating habits. This will help prevent macular degenerative changes, cataracts and night blindness. Kaki apples contains another very important mineral that is essential to your body, and this is potassium. It is in significant quantities in this fruit and therefore has a positive effect on blood pressure, increasing blood flow throughout the body. Lowers and reduces the load on the cardiovascular system and prevents the occurrence of heart disease and blood vessels. In addition to regulating blood pressure, persimmon fruit is a great stimulus for the creation of new red blood cells. The secret lies in the high levels of copper in the fruit, which has a beneficial effect on the level of haemoglobin in the blood. It is therefore recommended that these apples are eaten by people suffering from symptoms of anaemia, which will improve the concentration of red blood cells. Japanese khaki apple contains pyridoxine, folic acid and thiamine, which are the basis for the improvement of metabolic functions in the body. Regular consumption of fruits provides enough energy to the body and has a positive effect on building muscle, improves digestion and strengthens the immune system. Kaki apple can be consumed as fresh, dried or cooked. When this fruit is concerned, it is important to know that it is desirable to peel off the bark. The reason for this lies in the fact that it contains large amounts of Tianin, which generates lower absorption of some substances from the food. The raw fruit can be cut into quarters or simply eaten as a usual apple. What is even more important to know when eating Japanese khaki apple is not to be consumed on an empty stomach. This may lead to unpleasant occurrence of diarrhea, which is accompanied by the increased loss of water from the body. Preferably, kaki apples are used after a larger meal, such as breakfast. In this way you will ensure a sufficiently large amounts of energy for your body that your body will spend through the day. Dry persimmons can be used when making various desserts, cakes and ice creams. They are very tasty, so feel free to add them to the oatmeal and pour yogurt over it. Fresh fruit can always be used as an addition to fruit salads, and is particularly good with puddings. For fans of compote, we will tell you that the Japanese khaki apple is even better if cooked in water with cinnamon and lemon juice. This phenomenal meal, needs to be left in the fridge to cool slightly and serve it after lunch. It is a great dessert that refreshes the body and gives a lot of healthy and useful substances! What is the price of Japanese apples in the markets? Fresh kaki fruits you can buy at the markets in the beginning of winter, when the fruits are ripe. Their price is very affordable and is about 2 dollars per kilogram. You can find them also in well-stocked supermarkets, or in this case, pay attention to whether the fresh fruits are not rotten. If you want to get khaki seedlings and plant them in your garden, their price varies between 9 to 14 dollars apiece. It depends on the nursery garden, it is necessary to buy them from trusted suppliers who will give you all the proper advice when it comes to growing khaki apples. We strongly recommend that you plant these beautiful fruits in your garden because you will be satisfied with their appearance, taste and their beneficial effect on your health. It is important to know that when you pluck fruit, be sure whether it is soft or hard. We recommend that you always choose the softer ones, because they are ripe and ready for consumption. Of course, you can pluck the harder ones, only in this case you need to leave them for a few days at a room temperature to mature. Are there any bad effects? The largest source of vitamin C - khaki apple has its dark side. Scientists have found that due to the large amount of tannin it may lead to low adoption of other nutrients, such as vitamin A and beta-carotene, which are also located in these exotic fruits. In addition, Japanese khaki apple is a powerful laxative and as we mentioned before, if you eat it on an empty stomach it can cause diarrhea. They should not be consumed by diabetics because of the high sugar content, it can cause side effects.